The movie revolves around a Brahmin, who decides to devote his life to serve Lord Perumal. Things take a turn when he meets a woman, who is determined to make him break his vow. Watch Vipra Narayana movie on Yupp TV in full HD. 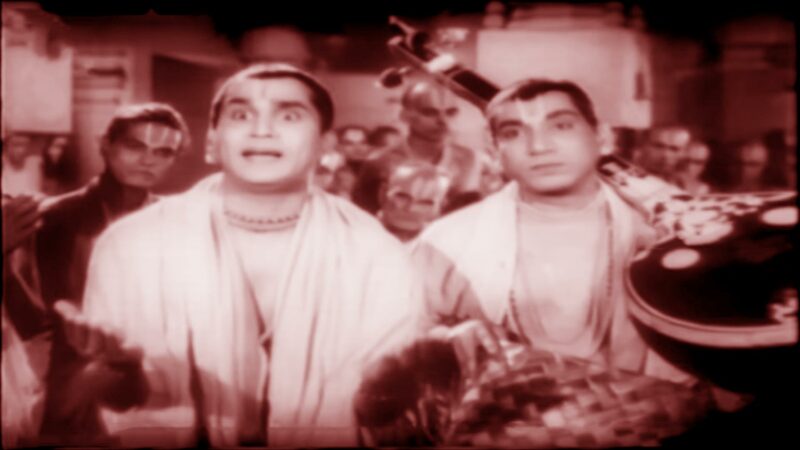 Film Vipra Narayana is directed by P S Ramakrishna Rao and cast Akkineni Nageswara Rao, Bhanumathi Ramakrishna, Relangi Venkatramaiah, Rushyendramani is released in 1954.